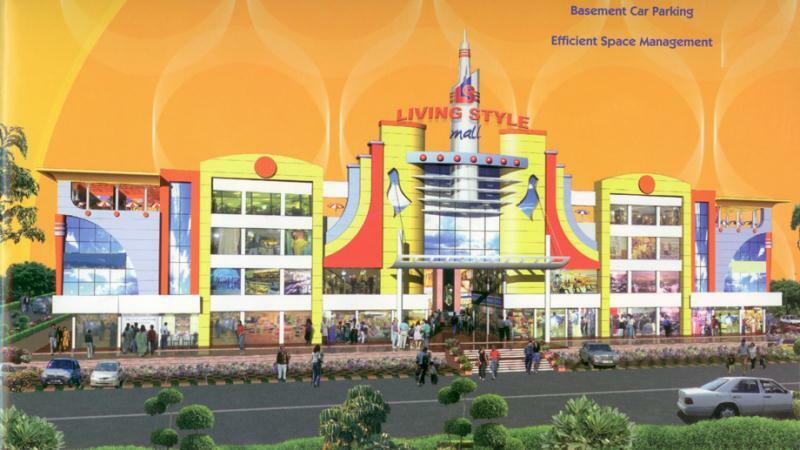 Living Style Mall is a world-class shopping mall equipped with the facilities of international standards. It is located at Jasola , South Delhi. The mall is the paradigm of prosperity that the real estate industry has witnessed in the recent years. It is strategically designed in order to cater to the needs of the people living in modern societies. The mall will be enriched with all the ultramodern facilities. Rich construction specifications will make it a truly global structure. Ever aspect of the mall will be astounding. Utmost attention is given in the designing of the interior of the mall so that it can attract the attention of everyone. Living Style Mall is going to be the hub of most of the renowned brands where the people will have an all-new experience. The convenient location of the mall is the greatest advantage. It is connected to most of the posh areas of Delhi and NCR. It is easily accessible from Noida through Kalindi Kunj. It is also well connected to New Friend’s Colony, Nehru Place and Mathura Road. This shopping mall is encompassed by the colonies of thousands of potential customers. About 3 million people are residing in surrounding areas like Sarita Vihar, Noida, East of Kailash, Greater Kailash-I, Greater Kailash – II, Panchsheel Enclave, Chirag Delhi etc. The populations of these areas are growing rapidly creating more and more potential customers of this ultramodern Living Style Mall.